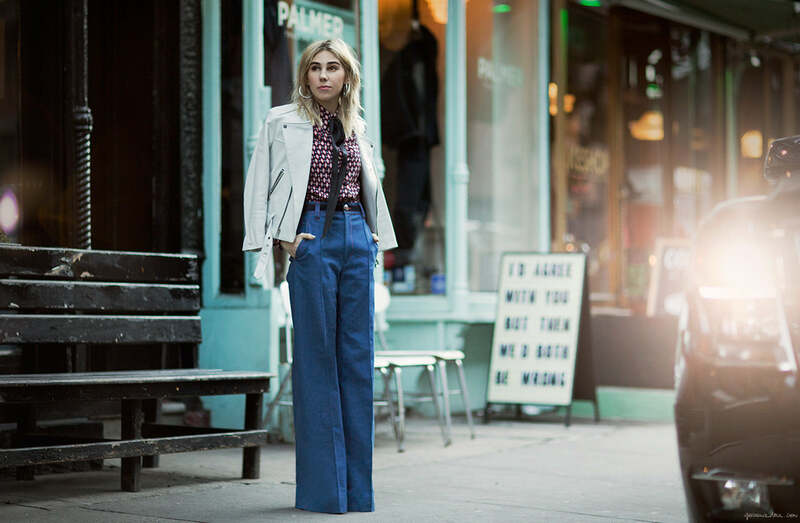 We caught up with Zosia Mamet, one of our favorite Girls, on Sullivan Street the other day to work on a very special project that we’re about to announce… We love her style, don’t you? Look out for more of Zosia, and our exciting news, coming soon! J’adore sa tenue! Elle a beaucoup d’allure. Hâte d’en voir plus sur ce mystérieux projet. I love her pants! And can’t wait to see what this project is! J’avais un pantalon très ressemblant au lycée!!! J’adore cette coupe! Wow!! J’adore cette tenue et ce style un peu classique reflète la dépendance des femmes!! Such lovely style, from the shirt to the pants! Perfect! I’m starting to love tucking in my shirt or t-shirt whenever I wear pants! She looks great and those pants are adorable. Trop canon le look !! What a wonderful look! Those flare pants are beyond chic! I love her blond hair! She’s so stylish and my favorite on Girls. Adorable pants! looks great on you!